ServerMania is a Canadian company with over a decade of experience building high-performance infrastructure hosting platforms for businesses globally. We offer a wide range of fully customizable dedicated, hybrid, cloud, colocation and IP Transit services. Our mission is to empower clients by equipping them with fast, reliable, innovative infrastructure hosting while upholding a 100% network uptime SLA. This is assisted by a 24x7x365 rapid response team — one with some of the best response times in the industry. Our slogan - “Hosting Empowered” - reflects our dedication to the needs of the client; our devotion to equipping them with all the resources they need to put themselves ahead of the competition. 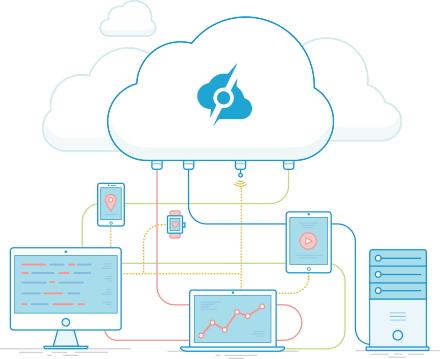 Backed by our powerful Surge platform, our Cloud, Dedicated, and Web Hosting solutions can be deployed in as little as five minutes. We offer services in six state-of-the-art data centers situated across Canada, United States and Europe. Founded in 2002 as B2 Net Solutions, the company was created to offer a wide range of web hosting services. In the spring of 2003 , we began offering Dedicated Server Hosting on both Windows and Linux. Introduced VPS hosting solutions, bridging the gap between dedicated and web hosting. Developed a first version of very own custom control panel, and made it available to our clients. As a result of ongoing company growth, we expanded our office facilities to a new location in the Toronto core. We developed the Shepherd control panel for billing, support and device management. Included enhanced features and dynamics for a user-friendly experience. Powered by Niagara Falls, our Green Data Center gave us just the boost we needed to support our ongoing expansion. We rebranded our company in 2012 to ServerMania, simultaneously launching enhanced services and support. ServerMania moved into the cloud, offering fully redundant, OnApp-powered cloud servers scalabe up to 16 GB RAM. Our brand grew by over 300%. As a result of massive growth, we opened three new locations - Los Angeles, CA; Chicago, IL; and Atlanta, GA.
Upgraded US-based network with Juniper MX Series Routers. The ethernet-optimized MX960 is one of the largest Carrier Ethernet platforms in the industry. As a result of ongoing company growth, we expanded into a new office situated in Stoney Creek, Ontario. Engineered for redundancy, performance, and scalability, we introduced our high-availability, public and private cloud platform powered by OpenStack technology. The facility is at the forefront of the green power revolution. Multi-Tbps capable Huawei powered network with native 10 Gbps server network access. Located in a Tier 3 data center with access to a wide range of bandwidth providers and fast fiber connections throughout Europe, the new facility continues ServerMania’s commitment to empowering its customers to grow when, how, and where they need to. Located in the heart of New Zealand, our Auckland data center delivers customers with low-latency connectivity throughout the Asia-Pacific region, including New Zealand, Australia, and Southeast Asia. Our redesigned dedicated server pricing page, order form, and server management control panel empowers customers to quickly and easily manage every aspect of their server experience with us.